The young people of Cardiff are being encouraged to ‘Feed the Sprout’. 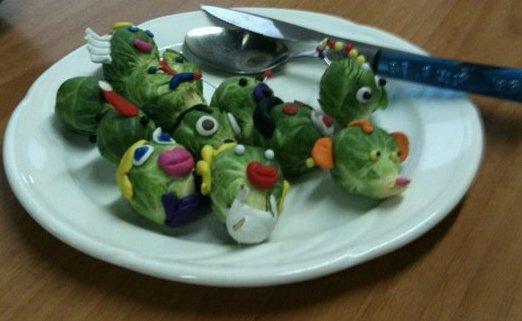 And unlike its namesake this Sprout, a news, views, reviews and creative zine, is popular with young people. Aimed at 11 to 25 year olds the site is one of many emerging hyper-local communities in Cardiff and has a dynamic and proactive take on the format, it has over 8000 visits and around 80 articles published on a monthly basis! Targeting its audience in Youth Centres, Schools, Universities, local shops and bars The Sprout prides itself on its inclusivity, and operates within the 10 entitlements for young people as set out by the Welsh Assembly. The site provides a platform for young people to find their journalistic voice, to promote the issues close to their hearts and to share writing, videos and photography with their peers. As well as being user-generated, the site also aims to keep the young people of Cardiff informed with the most accurate and useful information to help them in life. In 2009 the site integrated with CLIC who are the National Information and Advice Service for young people in Wales. The Sprout is also a useful portal for services to promote themselves to Young people. In some cases, such as that of LGBT Youth Provision ‘Loud and Proud’, these services do not have a means to reach out to young people themselves and the Sprout is an invaluable resource. Welcomed into a bright modern meeting room, I was immediately made to feel at home. The attendees ranged from school children to university students to stakeholders from local Youth Organisations, the meeting was relatively informal and it was easy to get involved and get your voice heard. The processes were democratic and the chair seems to change from meeting to meeting, giving people an opportunity to work up on their leadership skills should they want to. Though ‘grown-ups’ are present in various capacities it is the core of 11- 25 year olds who call the shots, making the decisions on everything from content to design and promotion. I was impressed by the gravity of the topics in relation to the youth of the contributors, with Asylum Seekers taking more time on the agenda than the music section. There was a sense of camaraderie between the team who often collaborate on articles and happily offer their time to the various requests made of them by service providers such as Careers Wales looking for ‘Youth Input’. Though the mood is jocular it’s clear they all take their work and their input to the site very seriously. The spectre of funding cuts from the Welsh Assembly in April looms large over the group, many of whom have dedicated considerable time and effort to the project, and there was a palpable sense of dismay and confusion as the topic was discusses. However, editor Arielle remains upbeat about the situation, urging her team to stay positive and advocating a push for readership and contributions over the coming months, statistics from which could be used to stave off crippling cuts to the already modestly funded project. The site doesn’t currently utilise ad-space as an income stream, however the editorial team agreed that as long as the products were agreed to be ethical, they would be happy to use non-intrusive advertising if it would secure the future of the site they care about. Should the knife fall on The Sprout it will be a great loss to the Young People of Cardiff, although after meeting the team I’m not sure it would be the last we hear from them. The Sprout is always hungry and looking for more content and it’s very easy to get involved. Many thanks to Emily Jane Cole for her help with this article.